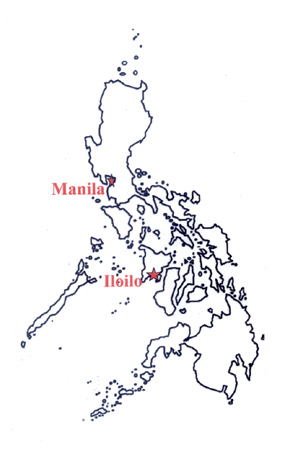 In mid-January, some friends and I set out for Iloilo, which is well-known in the Philippines for its food. I’d been listening to them enthuse about this trip for months, but I’d thought they were exaggerating. They weren’t. We spent several days eating. 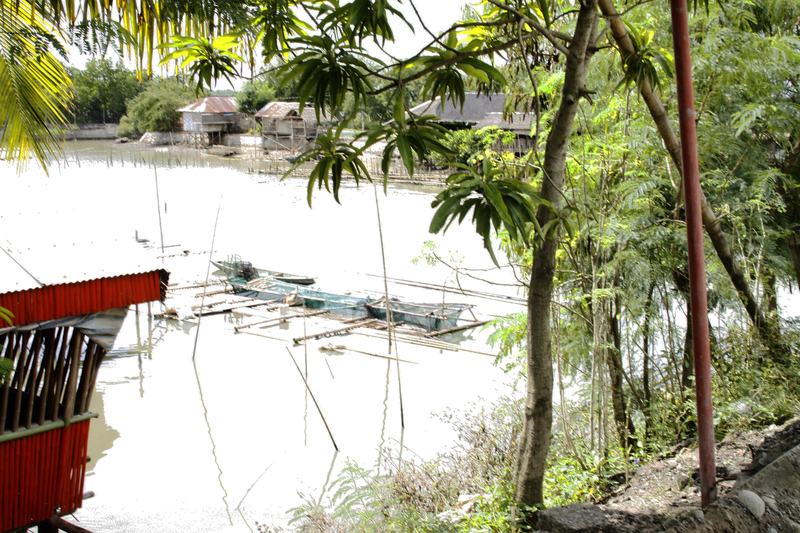 Joy Joy’s Seafoods Restaurant is out in the countryside surrounded by fish farms—right outside. Food comes no fresher than this. 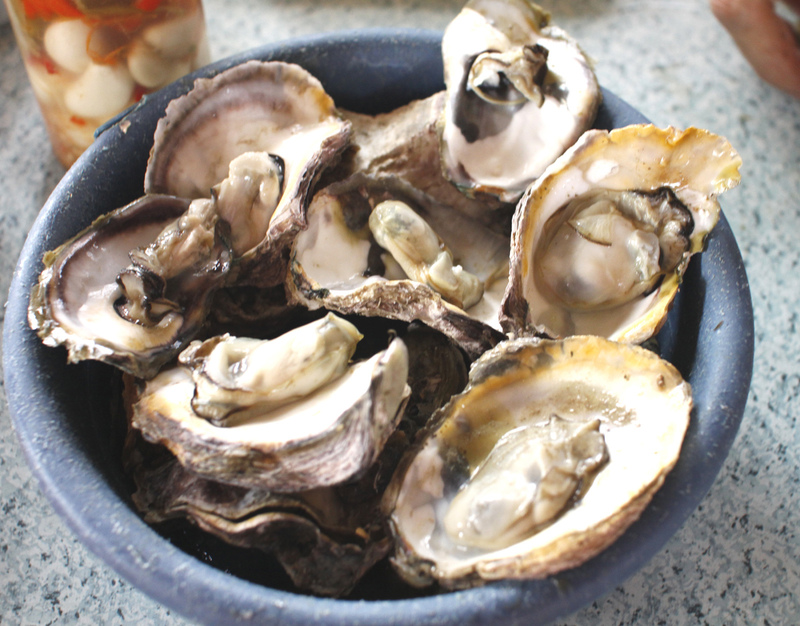 We had oysters, shrimp and red snapper. 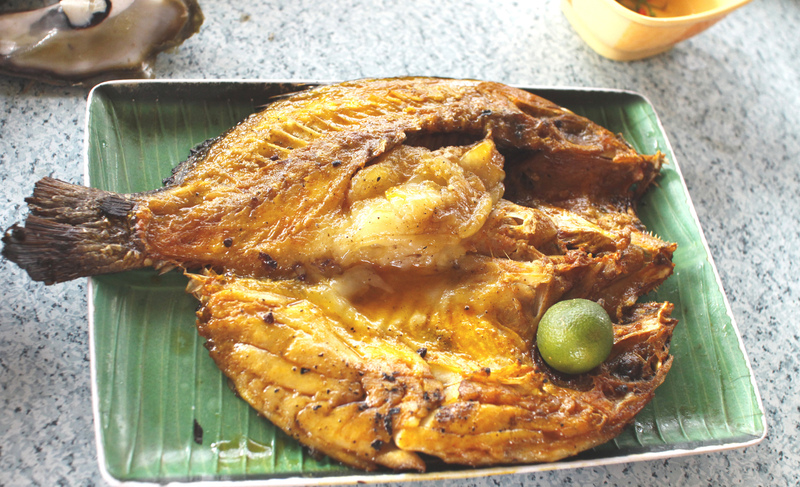 The body of the snapper was grilled, while the head was used in making sinigang. 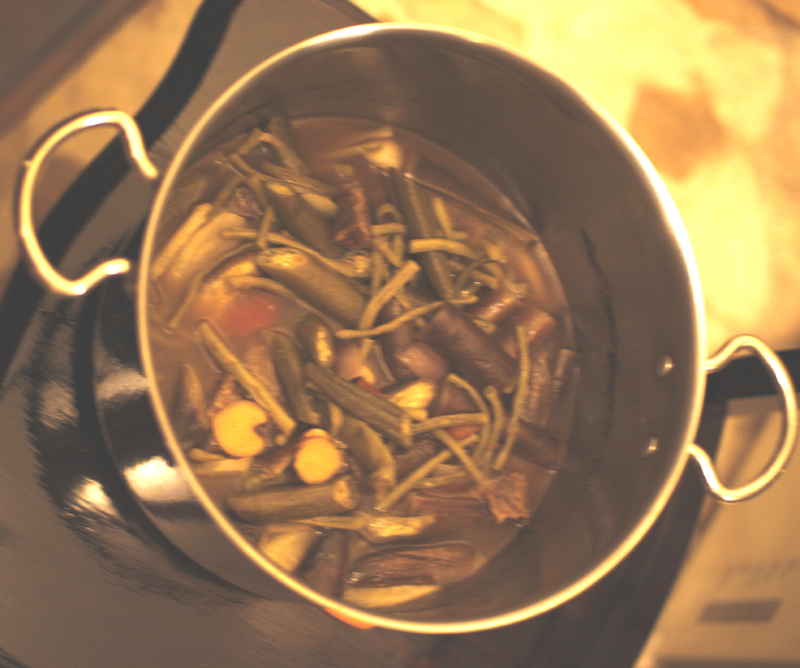 (A recipe for Fe’s sinigang appears below). Two of the seafood restaurants where we ate were in bamboo structures, perhaps unimpressive on the outside but large, light and airy on the inside. 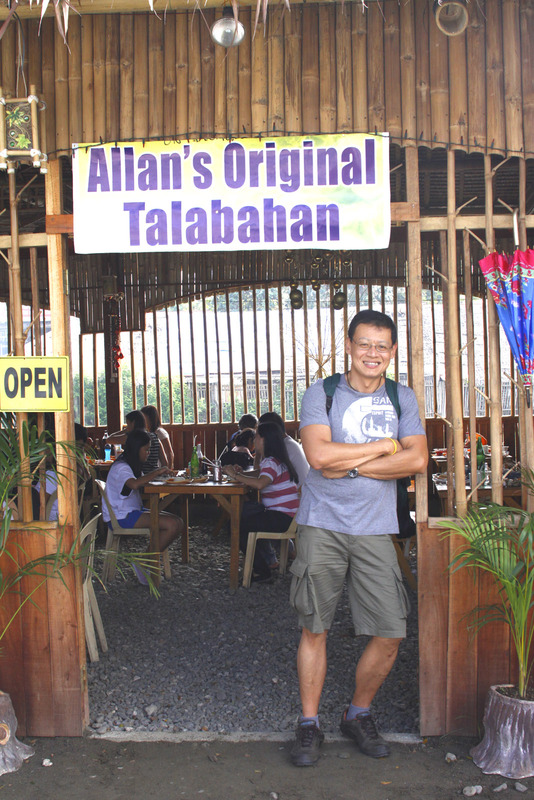 Allan’s Original Talabahan had a thatch-like roof covered with nipa leaves. The leaves are attached to sheets of bamboo lathwork and then raised. 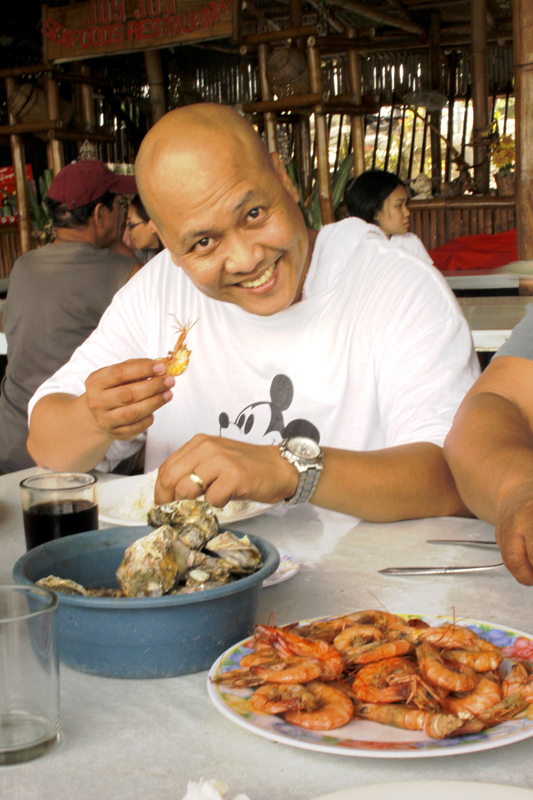 At Allan’s Oritinal Talabahan we had more oysters and shrimp and a managat fish found only in the south. 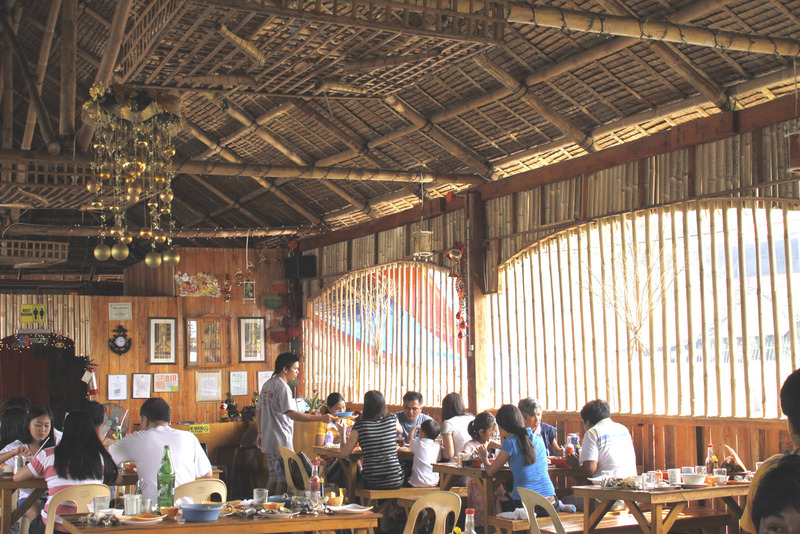 Italian restaurants are very popular in the Philippines, which seems appropriate, given the importance both nationalities seem to place on food. 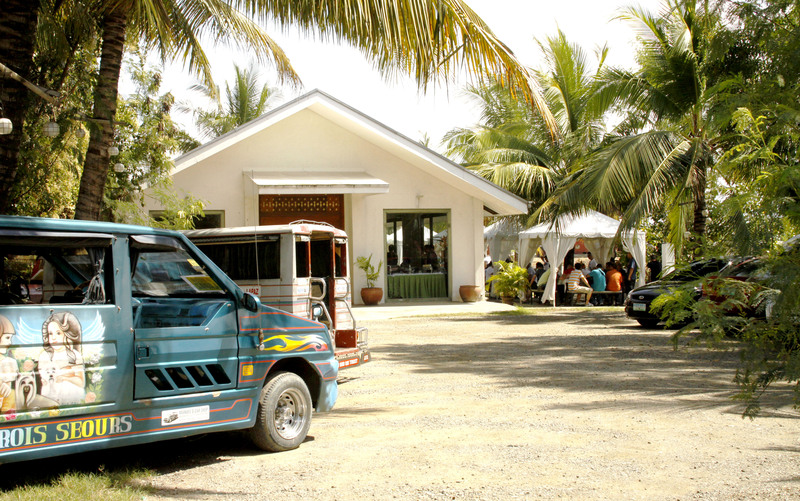 Like many restaurants in the Philippines, the Messe Ristorante will put up tents outside toaccommodate large parties. Notice the decorated jeepney named “Les Tois Sours,” which provided transportation. The restaurant offers appetizers, soup, salad chicken, meat, fish and house specialties. 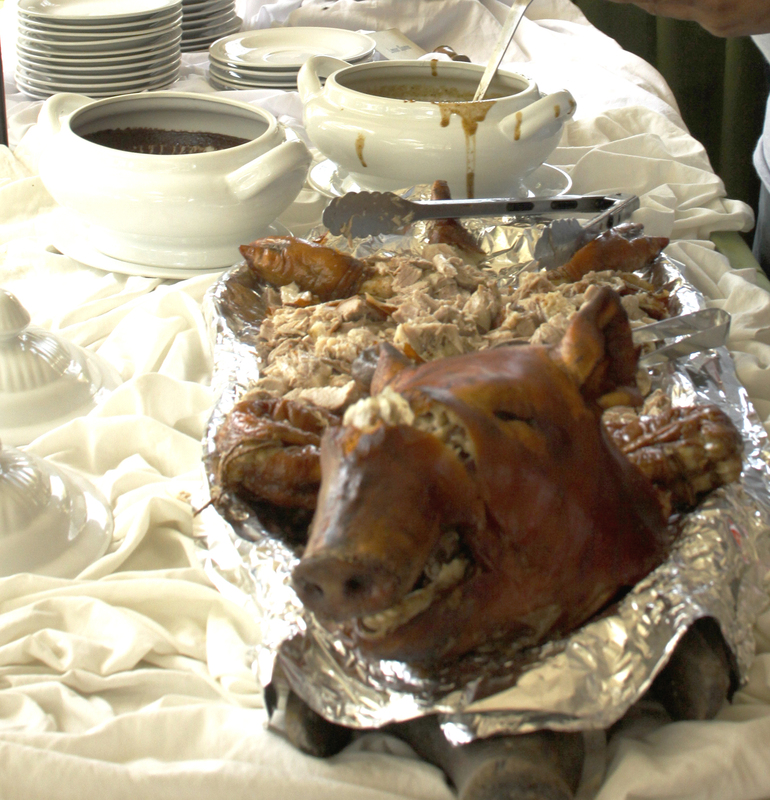 On our buffet I saw only one Filipino dish, the favorite for any special occasion, lechón, or suckling pig roasted on a spit over a charcoal fire. It is served with a rich, liver-based sauce. After this incredible, days-long feast, it is with totally uncharacteristic humility that I offer some recipes from my household. These my housekeeper Fe has modified somewhat for me. 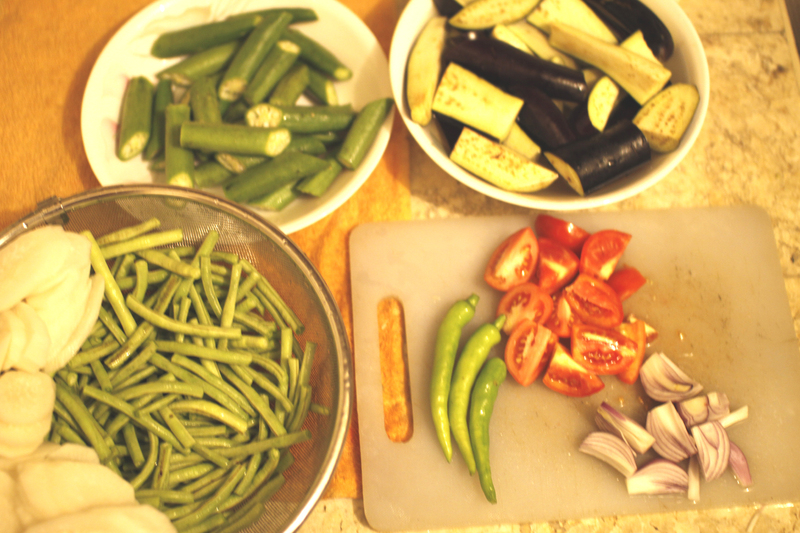 Namely, there’s less fat, less refined starch, more fruit and more vegetables. 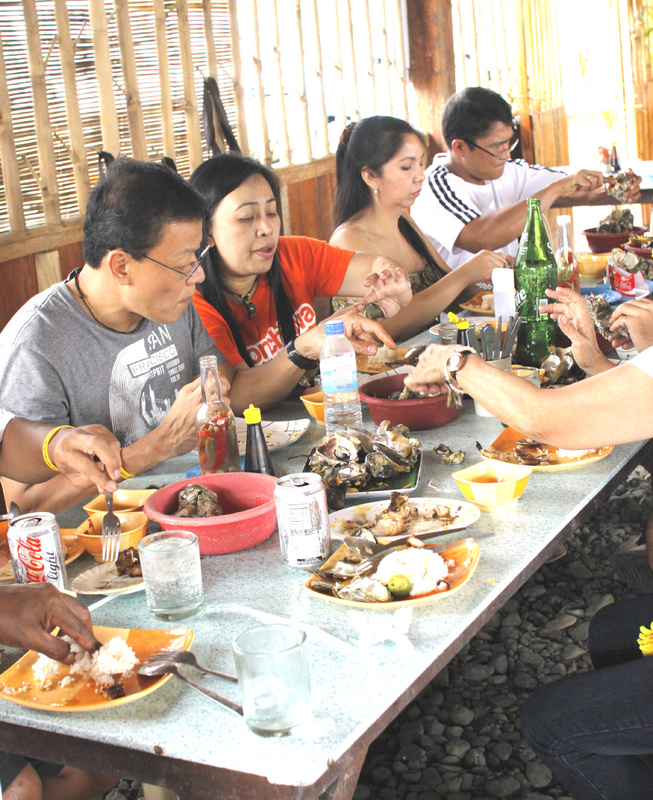 One thing I have decided is not to serve seafood to Filipino guests–ever. As a lifelong inland-dweller, I am totally not in their league. However, both of these soups can be cooked with fish instead of chicken or beef. Brown chicken and ginger gently in oil. 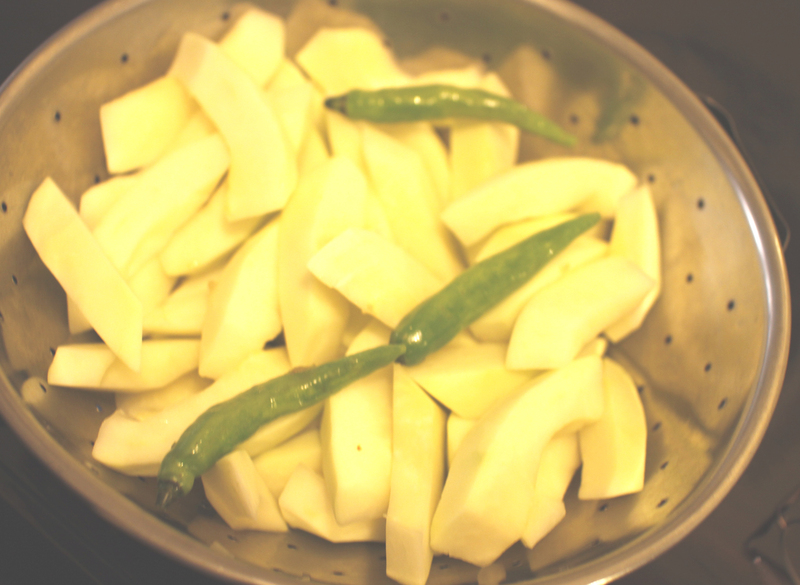 Add all other ingredients except papaya and chili leaves, cook briefly, being careful not to overcook. Add papaya and cook until tender. Stir in chili leaves and remove from heat. 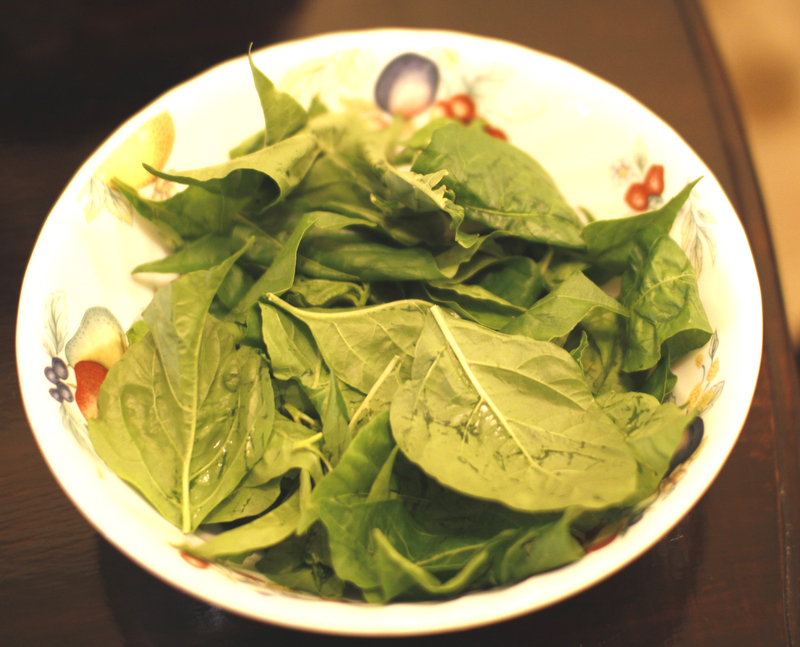 Variation: Substitute fish (bangus, blue marlin, swordfish, tuna, yellow-fin tuna) and add 3 bunches pechay (collard greens) or Chinese cabbage. Remove fat from beef ribs, boil with ginger until the meat is tender. Drain off liquid from beef and put liquid in fridge until it is cold and fat has risen to the top. Remove fat. Debone the beef. Put defatted liquid back in pot with beef and other ingredients. Cook until tender.